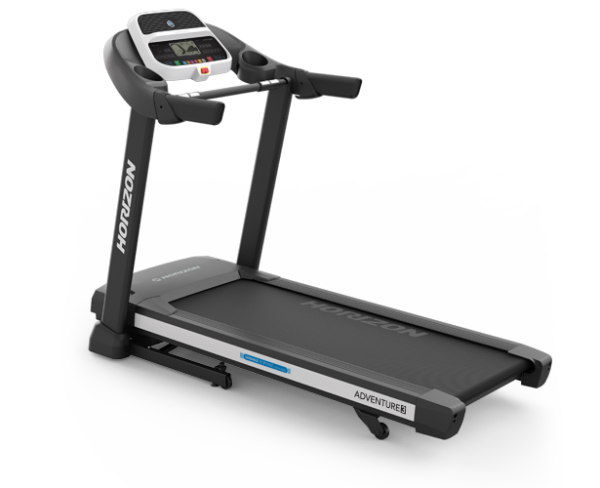 The all New 2019 Horizon Adventure 3 treadmill is loaded with features that make your workouts more interesting, engaging and effective to keep you moving toward your goals.View all of your workout data at a glance with the dual racetrack and workout profile displays. Plus, ViaFit connectivity simplifies workout tracking to help you reach your fitness goals. 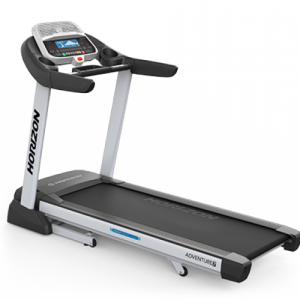 Introducing the all New 2019 Horizon Adventure 3 Treadmill. 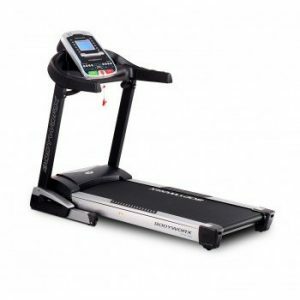 Designed for joggers and runners it comes with a large 140 x 51cm running deck, Variable Response Cushioning system and a strong 2.25 CHP Johnson drive motor. The Horizon Adventure 3 treadmill includes Passport video workouts, which work with your TV. The treadmill also has ViaFit Connect, which links the treadmill to the Internet. The ViaFit web app is designed to chart your distance covered, calories burned and other fitness activity. Time and again, studies show that people who track their progress are more likely to achieve their goals. Track Length: The track length of 140cm is just right for joggers and runners. The width is the standard 51cm. Variable Response Cushioning: The high-end Variable Response Cushioning on the Adventure 3 has three firmness zones. The track provides a relatively soft landing area and a firmer area for takeoff. 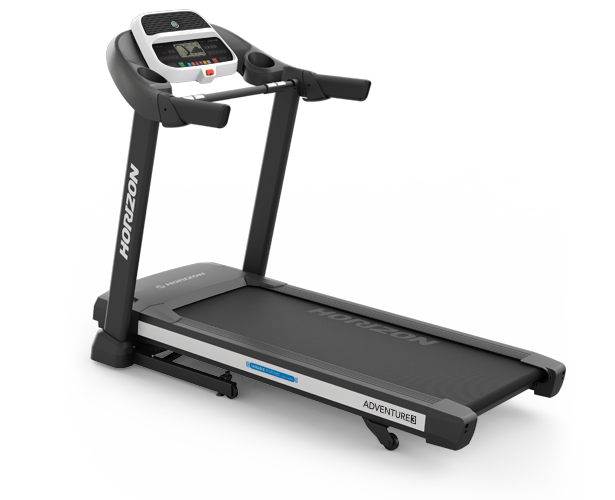 30 Programs: The Horizon Adventure 3 Treadmill has 30 built-in workouts. These include manual mode plus interval training, distance programs, calorie burn programs and step programs. Audio: Enjoy your MP3s during workouts! The Horizon Adventure 3 makes it easy with built-in speakers. ViaFit Connect: ViaFit’s main feature is the automatic tracking of fitness data. You can track your data with the ViaFit.com app or stream your data to other compatible programs. Passport: The Passport connects the Adventure 3 Treadmill to your television. High-definition video adjusts to the speed and intensity of your workout! Display: The console is clear to read and easy to use. The workout data shown include time, distance, incline, speed, calories, heart rate and laps. There’s also a racetrack graphic to help visualize your progress. 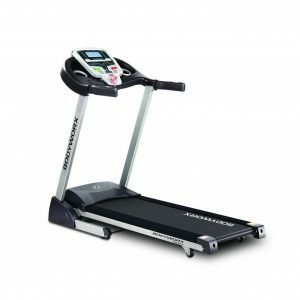 For a great visual experience you can connect the Horizon Adventure 3 Treadmill to your home TV. and with Horizon’s Passport system you will be able to enjoy virtual reality tracks as you exercise. Console Extras: This unit has a reading rack and two cup holders. Incline: Rev up your metabolism and get extra tone! This track can automatically incline up to 12%. 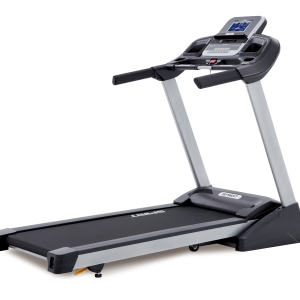 Walking on the incline boosts the efficiency and effectiveness of your workouts. It also makes exercise more interesting, especially when used with the interactive Passport system. Motor: This unit has a 2.25 CHP Johnson Drive System, which is enough power for long and frequent use. Johnson Drive motors are both very powerful and super quiet. Folding: The Horizon Adventure 3 Treadmill can easily be folded to conserve floor space.